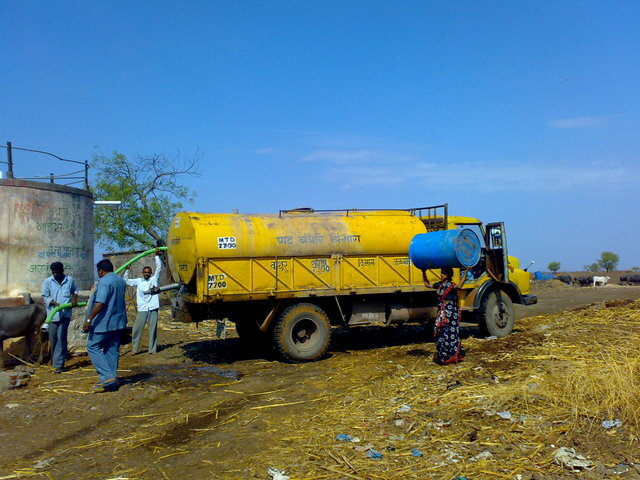 plan 228Integrated Drinking Water Project in village Lakh hamlet, Dist. Jalgaon, Maharashtra. Lakh Tanda (hamlet) is situated at a distance of 18km from the Pachora block head quarter in the interior surrounded by the hills. It is a part of the main village Kurhad which has a Group Gram Panchayat at the distance of 6 km from the village. The village lies in drought prone area and receives rainfall 500 mm which is erratic and scanty. So far there are no developmental activities initiated in village as the village is neglected by the local Gram Panchyat and other government line departments for the same. All the households belong to the Wanjara caste (nomadic tribes) and agriculture is rain- depended which is insufficient to support the livelihood. 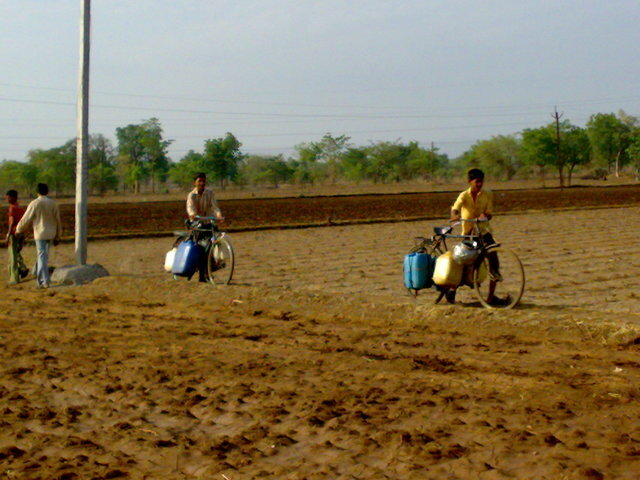 The village has old drinking water scheme which was promoted by the government 10 years back. But due to the insufficient water source the project is not in use for last 5-6 years. The existing pipeline and the pump are not in working condition. 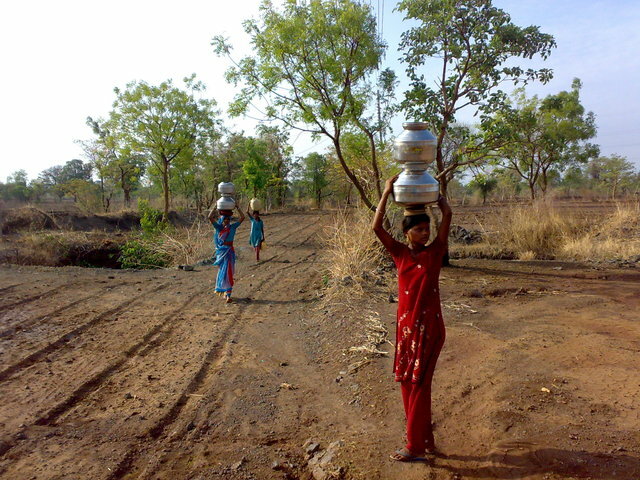 The drinking water is being supplied through the tankers during the summer months and rest of the months the women and children fetch the drinking water from the private wells. They have to bring water at a distance of 1-2 km and spend 3-4 hours per day. At present the drinking water is unsafe for drinking and people do not have access to safe drinking water through the existing drinking water pipeline. The primary Zilla Parishad school is upto 4th standard in the village. There is no drinking water provision in the school premises for the school children. A separate tap connection would be provided to the school where the school children would have access to potable drinking water as well could use the water for toilets. 72 school children will be benefitted. 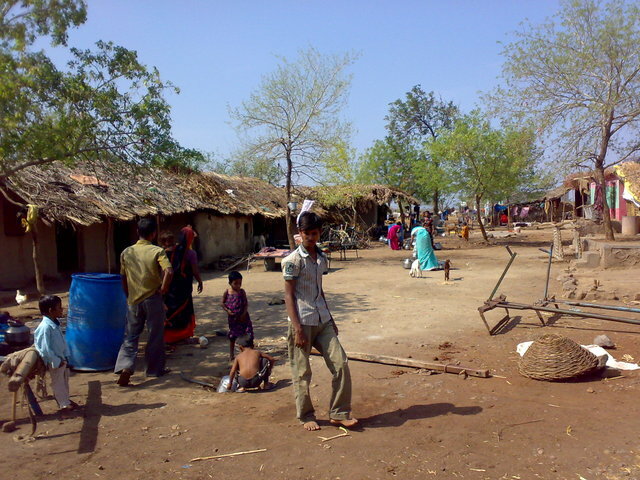 Sanitation facilities are not available in the village at present. The community would be made aware and motivated towards the benefits of sanitation. Further, they would be motivated to construct individual toilets after the availability of water in the village. Special efforts would be taken for linking the households to the banks for obtaining loans for construction of toilets. 1. The National Bank for Agriculture and Rural Development (NABARD ) has selected this village for the SHG promotion and agriculture development through bank credit. 2. Under this programme, 2 Self Help Groups (SHGs) involving 30 women members have been formed and the internal lending is practiced. - Excavation and construction of the existing well. - Trainings and capacity building of Water Committee and Village Development Committee. The village community has planned to excavate the existing well which is presently not in use. 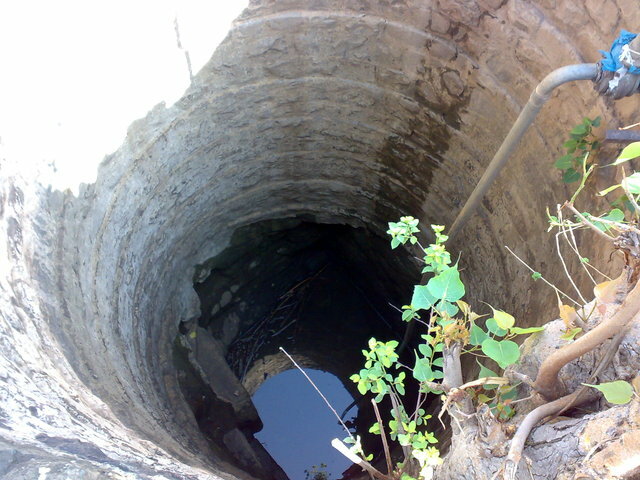 The well is located near the earthern dam so that the well will have sufficient water after further deepening. Therefore it is planned to excavate and construct the existing well and to lift the water from the well and transport the same through underground new pipeline of 1000 meters in length. The water will be stored in the existing storage tank having the capacity of 15,000 litres and the water would be distributed through the existing distribution system of pipeline through existing 6 stand posts. The repairs of the existing storage water tank, stand posts and existing distribution system will be carried out. The main concern and issue of water and sanitation is very much related to women as they are the ones who have to face the brunt. The SHGs are formed in the village and these are federated into the Apex body called SMS. The SHGs and the SMS play an important role in the social developmental activities specially they will be actively involved in water and sanitation activities. The drinking water and sanitation project would be implemented through separate Women’s Water Committee which would be selected in the Gram Sabha (village meeting) for the promotion of drinking water and sanitation project. The Water Committee will be responsible for implementation, supervision, quality control and monitoring of activities with the support of the village development committee which is newly formed. The funds would be released directly to the Water Committee bank Account. The committee would handle the transaction and would be responsible for maintenance of accounts. The technical and social mobilisation support would be provided by the partner NGO named Action for Community Empowerment (ACE). The capacity building would be done by the implementing agency and WOTR. After the successful completion of the project the Water Committee and the Village Development Committee (VDC) would be responsible for the distribution of water, collection of water tax and also repairs and maintenance of the project. So far we have successfully implemented 1542 decentralized drinking water projects through BPR benefitting 1542 households and 9653 inhabitants. Besides this at present, we are implementing drinking water and sanitation projects in 11 villages in 4 districts of Maharashtra benefitting 886 households and 6183 individuals. Our past experience is in all drinking water and sanitation projects we involve women since they are the most sufferers of the drinking water and sanitation problems. They take initiative to solve the same problem by organizing the village community and approaching the local Gram Panchayat. Therefore the implementation of the project is being done successfully and as per the plan involving the entire village community. 1. The drinking water activity has helped the village community together for common causes and helped them to strengthen their unity, integrity and cooperation. 2. The illiterate rural women are capable to implement honestly parsimoniously large projects with large budgets by maintaining transparency if their capabilities are built through training interventions and given opportunities to implement the projects. 3. If the drinking water problem is identified and the work is initiated by women the strong support and cooperation is possible from the local governance (Gram Panchyat), CBOs and main folk irrespective of politics, groupism and bureaucratic interference. 1. Delay in getting the electric connection from the Electricity Board after completing the physical implementation of the project. 2. Due to electricity power constraints, the load shedding of electric power in the rural areas is of 12 hrs. per day. This leads to irregular water supply to the community. The project would be completed in one phase. The funds would be released in 3-4 installments to the Water Commitee. After the monitoring of the first installment disbursed and on satisfaction of work as per plan, the next installment would be released. 1. The ACE, is working in the village for last 2 years. It has organized the village community for implementing various developmental activities with the support of NABARD. 2. 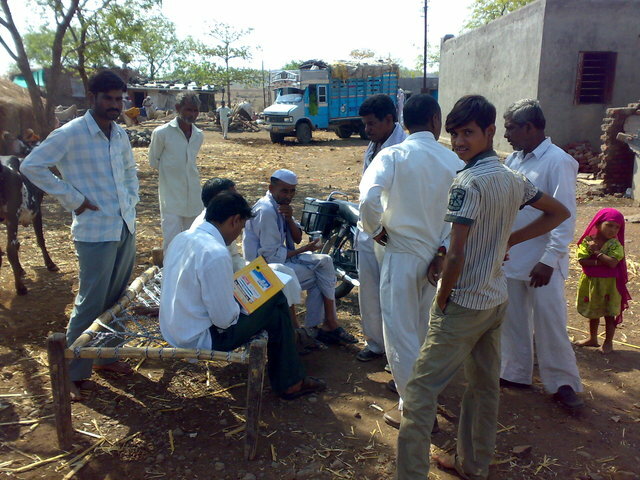 In the initial stage, the Participatory Rural Appraisal (PRA)was conducted in the village to understand the local situation and to collect the basic data of the village such as no. of households, population, their locations, infrastructure and facilities available in the village, natural resources, land irrigation cropping pattern, drinking water facilities, sanitation situation etc. 3. The problem analysis was done and it was realized that “drinking water” is one of the important and urgent issue to be addressed. 4. The women were organized into Self Help Groups and 2 SHGs have been promoted involving 30 women members. The women SHGs have decided to solve the drinking water problem and have taken the initiative for the same. The initial planning of the project is being done through the PRA by the village community and the technical plan and estimates are prepared by the NGO (ACE). 5. As per the WOTR’s norms the village community has to agree to contribute minimum 20% of the total cost either in cash or in kind. Accordingly the village community has agreed to contribute 20% of the total cost. 6. After the completion of the project the Women’s Water Committee would be responsible for the repairs and maintenance and post management of the project. The village has been selected by the NABARD for the village development programme for the promotion of SHGs and the credit availability for the agriculture purposes through the service area bank i.e. Bank of Baroda. Similarly, different government schemes would be implemented through the coordinated efforts of the NABARD and the NGO. The efforts would be made for the safe disposal of waste water through the construction of drainage system under the government funds through Gram Panchayat (local self government). From the beginning the women groups (SHGs, SMS) and the women’s Water Committee will be responsible for the implementation and management of the project. Local contribution 20% of the total cost will be collected from the households. The Water Committee will set up a Maintenance Fund towards the repairs and maintenance of the post project period. A water tax will also be regularly collected from each household and the Water Committee would be responsible for the same. To assist the Water Committee to manage the drinking water project they would be given required capacity building training by ACE and WOTR. With this we expect that this initiative would sustain. - It is envisaged that the people’s contribution equal to 20% of the total project cost i.e. 1528 would be collected in cash by the Water Committee and deposited in the Committee's bank account with view to maintain transparency and accountability. Implementing Organization: Action for Community Empowerment (ACE), Pachora district, Jalgaon. ACE is the partner NGO of WOTR and Sampada Trust (a sister concern of WOTR for women’s empowerment and micro finance). The ACE is mainly involved in SHG promotion and linkages with bank for credit, national environmental awareness campaigns, national project on organic farming, capacity building of women and rural community, specially organizing trainings to elected women members of the Gram Panchayat (local self government) to build their capacities in village self governance. At present the NGO has 14 staff members including 7 women staff.